Picacho Mountain is Southern New Mexico’s premier master planned community featuring Estate Homes, Patio Homes, Town Homes, and a Neighborhood Retail area. 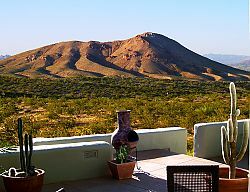 Comprised of over 750 acres, Picacho Mountain is set in the Chihuahua Desert between the rolling Doña Ana Mountains and the picturesque Organ Mountains, a site that offers breathtaking views. Picacho Mountain is developed with a deep respect for the land. By preserving desert open spaces, complementing the environment and becoming a natural extension of the surrounding Chihuahua Desert, today the rich heritage of this land lives on today at Picacho Mountain. Picacho Mountain is proud to be the Only Certified Green Community in the Southern New Mexico & El Paso Regions! Picacho Mountain offers a variety of new homes and new neighborhoods to fit your unique lifestyle. Every neighborhood offers the best of New Mexico real estate in a welcoming environment with endless opportunities to connect with neighbors and make new friends. Both custom and semi-custom homes are carefully designed to create opportunities for quiet reflection and private moments. At Picacho Mountain you can select the custom home or custom home site that fits your vision. Plus, be sure to enjoy the rich culture and heritage of Las Cruces, New Mexico and the surrounding region. Living at Picacho Mountain offers you a truly enchanted lifestyle. Call us today to discover the new home you’ve been searching for. Dial 575-523-2500 to speak with our Community Concierge, or contact Picacho Mountain online for more information.